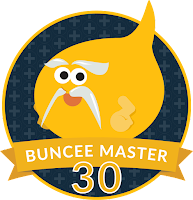 I was tickled pink early this September when I got the email that my application was chosen for the Buncee Ambassador program. 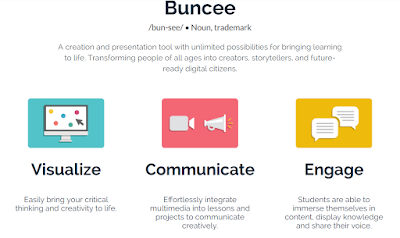 I first learned about Buncee from Shannon McClintock Miller when I attended her workshop at FETC this past January. I have been hooked ever since. I've used Buncee for my own creations and I've used it with my upper elementary students in my role as Lower School Technology Specialist. 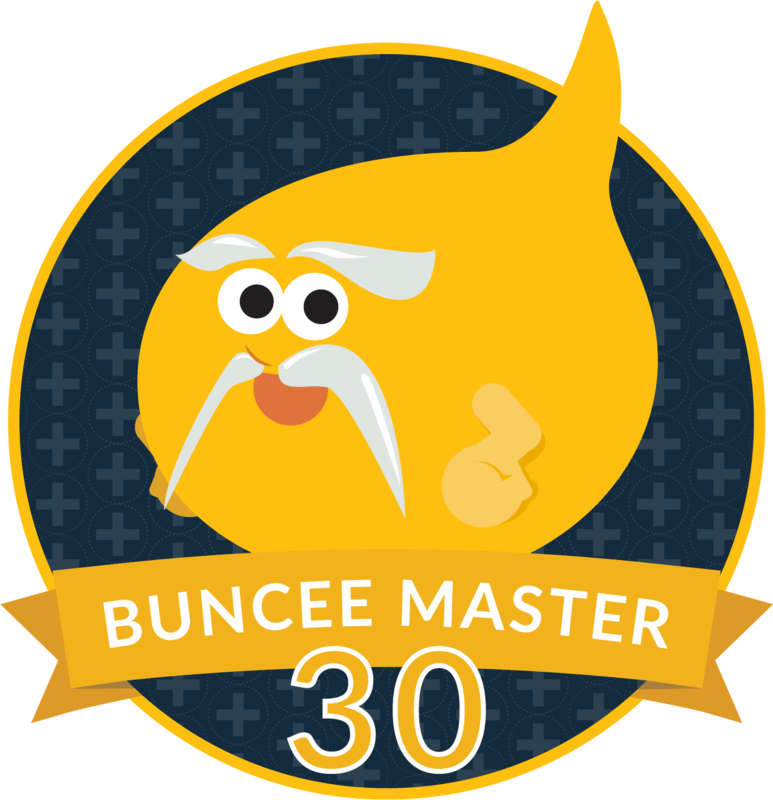 (I spent a lot of time this summer experimenting and creating, earning my "Buncee Master" badge for making 30+ items). Kids and teacher alike...we all love it and the possibilities it offers. 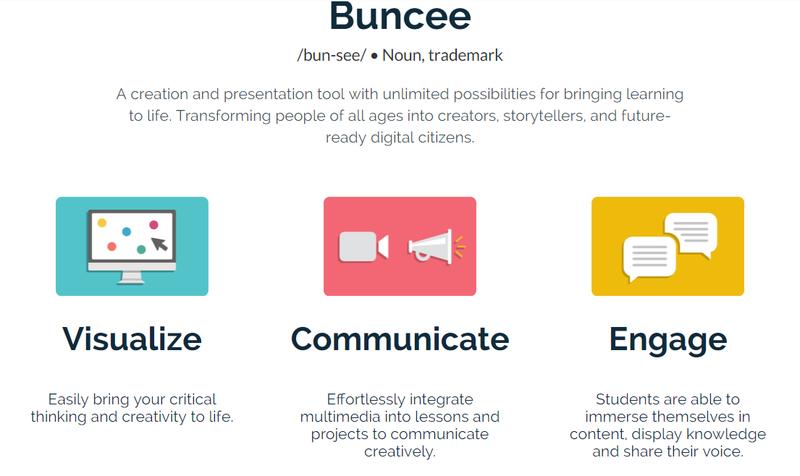 One of my favorite parts about Buncee is its ease of use and it's availability across platforms. It's web-based and works with all devices--plus there's a simplified version within the Buncee app, making it user-friendly across the ages. In my Digital Design class (which is a 4th and 5th grade elective), I had students make Buncee Book Doodles. They enjoyed making these visual riddles and trying to guess their classmates' creation. They loved both sides of it. Here's mine (Scroll down to find the answer at the bottom of this post--see if you can guess it.) Of course you could do this for anything: famous people, songs, historic events, etc. Use Buncee to make detailed notes with visuals and annotations. This is a perfect way to showcase student learning. Here is an excellent example of illustrated learning (and the rationale behind it) from Sean Farnum, who leads the Buncee Ambassador Program. Global Read Aloud has been a growing since 2010 as a way of connecting with others and bridging through books. The official start to 2017 was October 2017. 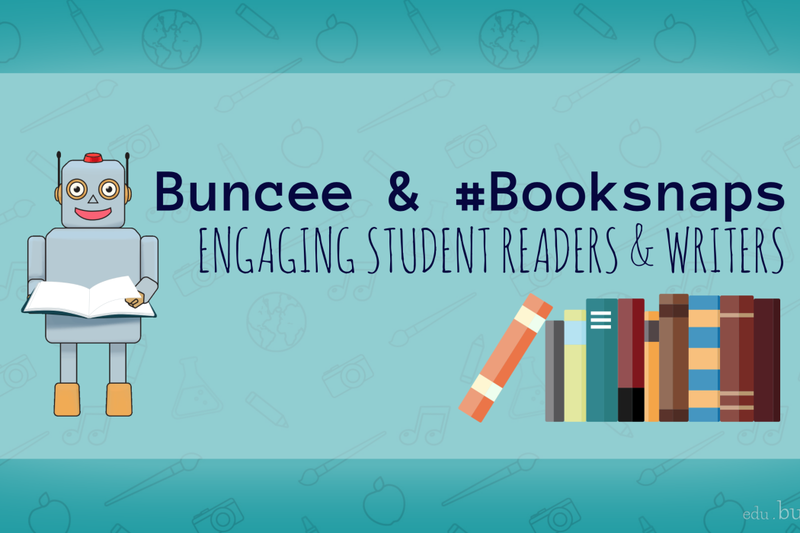 Shannon McClintock Miller has shared several ways to combine Buncee and Global Read Aloud in her blog "The Library Voice." To learn more about Global Read Aloud and this year's books, start here. Check out Amy Nichol's guest post on Buncee for a step-by-step list of how to create an engaging way for students to annotate pictures of the books that they are reading. Doing so will enhance their reading experiences. I love that her story example in her post was the book Me...Jane, a biography by Patrick McDonell about Jane Goodall. What a super #eco & #edtech pairing! This Buncee blog post from Cynthia Stogdill illustrates some great ways to do just this. Given that Buncee has a feature that uses only Creative Commons images from Pixabay, the act of citing images is a built in feature. Additionally, by having the ability to add videos and voice along with the art and animations, your students have much more depth than a traditional book report. The same is true whether you are writing book reports, author studies, biographies, character analysis paper, or other written research. Here's an excellent example of how one 2nd grade teacher, Amy Nichols, used Buncee in coordination with her Genius Hour research projects. Be sure to click this link for the detailed article on her activities and process, which may build your own inspiration! Templates on the Buncee website can serve as graphic organizers--or make your own! This sample shows how the image was cited. When choosing a background for your Buncee slide, just go to the category "Educational Templates" to find a wealth of choices. 7. 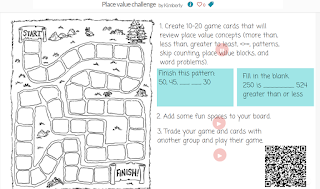 Inspire your students to make math games. 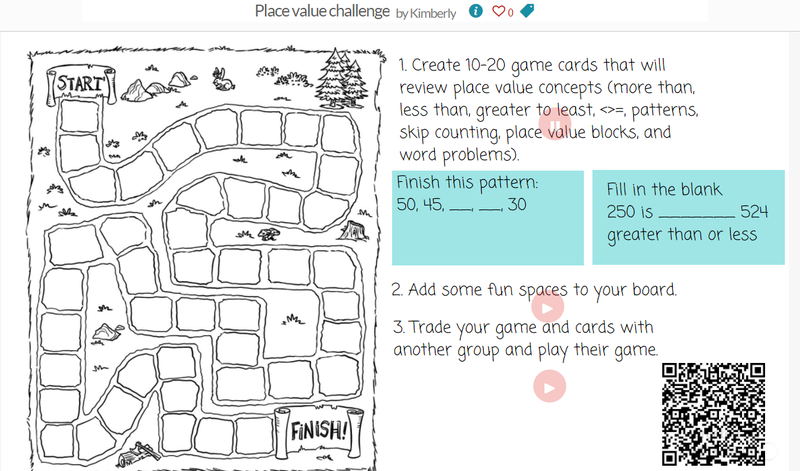 Here is a direction slide and game board created by Buncee user Kimberly to do just that. I like how she used audio to give directions to her students right inside her presentation slide--perfect for providing solid directions at a center activity for your students. 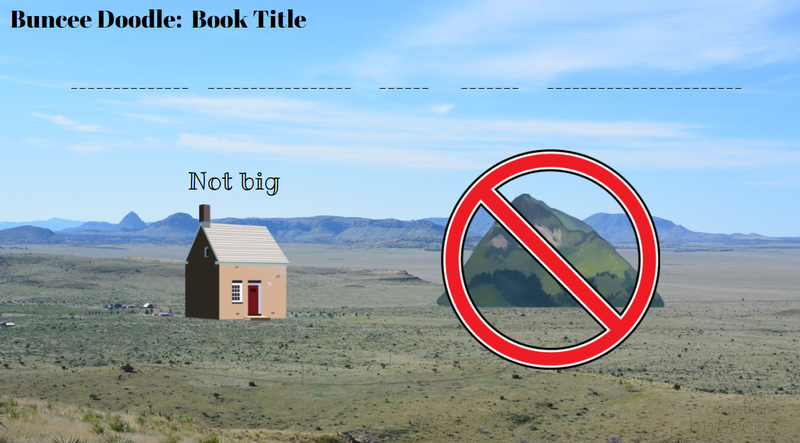 Buncee makes illustrating vocabulary a breeze. Click through this Buncee and also this blog post by Shelly Sanchez Terrell for more ideas. Use creation as a way to for students to show their understanding. 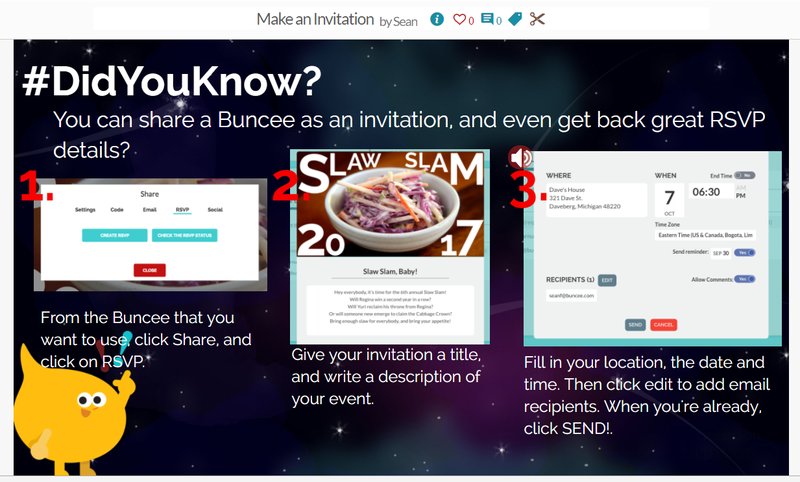 For more formative assessment ideas check out the Buncee below and also this Buncee blog post by Sean Farnum. Put a little life into figurative language. Have your students illustrate personification. Check out these examples here. Make an invitations to a class event for parents. This Buncee visual below as well as this blog post show you in great detail how you can create invitations. 12. Tie it in with your foreign language program or use with your English Language Learners. This post by Shelly Sanchez Terrell has a lot of ideas. 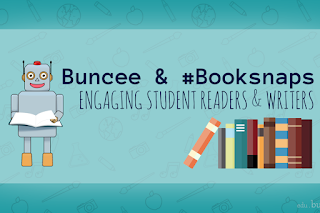 When in doubt, check out the Buncee "Staff Picks" page. This gallery has a wealth of inspiration all in one place! I could keep going, but you get the idea: you can do a lot with this simple yet powerful #edtech tool! Check it out! 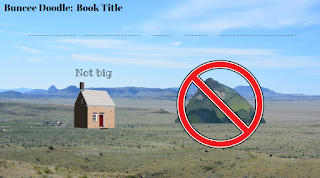 Buncee Book Doodle Reveal: "Little House on the Prairie" by Laura Ingalls Wilder. Badges from buncee I've earned!